I have been up to some crazy. 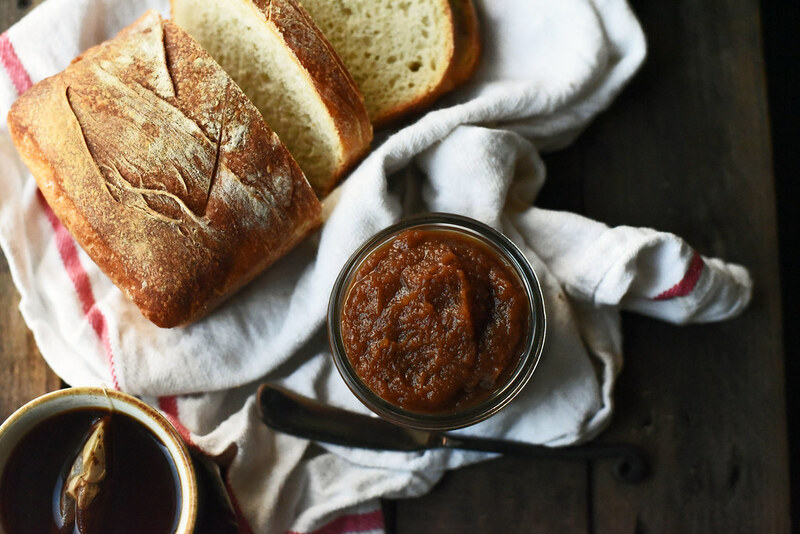 Let’s start with the batch of apple pear butter, which is the recipe that I will share with you further down this page, just bear with me. 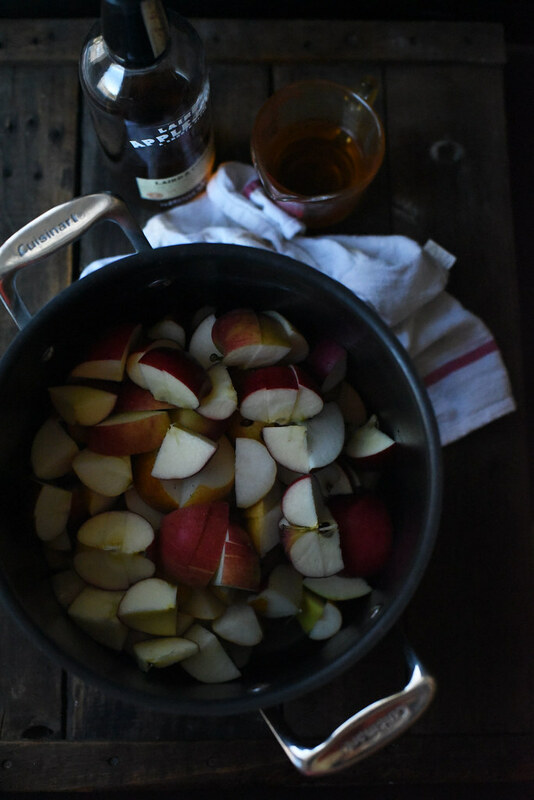 To be completely honest with you, I don’t find it crazy to be making apple pear butter. I had more apples and pears in my fridge than I could eat before they went south of eatable. In my opinion, I find it rather ‘waste not want not‘ in attitude and I will wave that flag whenever I can. If you are of the party that finds this activity crazy – making butters, preserves, jellies, or jams at home – I get it, I do. 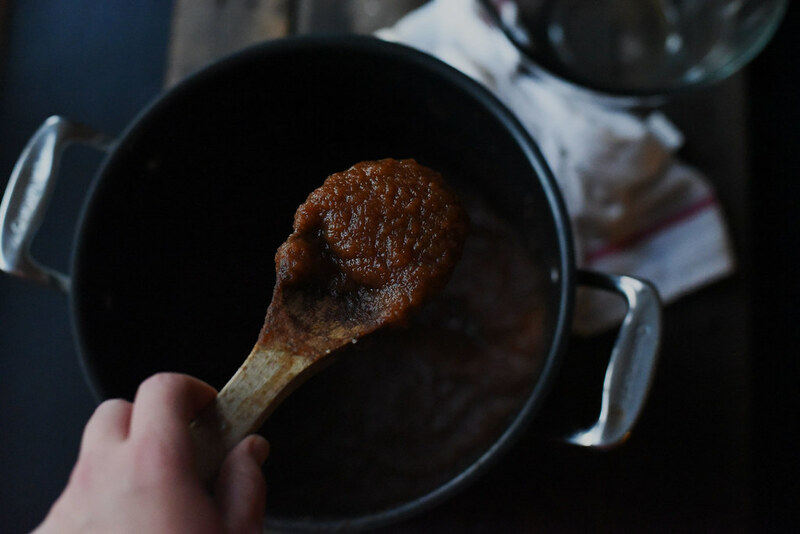 I spent an entire afternoon boiling and then slowly reducing this sweet cinnamon-y apple pear concoction down until a butter like consistency was reached when I could have jumped in my car, drove 5 minutes to the store, purchased some apple butter for about 4 bucks, and been home in under a half hour. I get it. I do. Let me tell you the problem with this plan. The hole that will make it crumble. I would have had to change from my pajamas. Put on shoes. Apply some attention to my hair. Find my glasses. And drive. Sometimes, that is more than I can offer to the world and spending an afternoon in the kitchen chopping and stirring and monitoring is doable. Almost a form of therapy. Hell, it is therapy. Second crazy thing I did is a bit off the wall for the process was a bit drawn out. 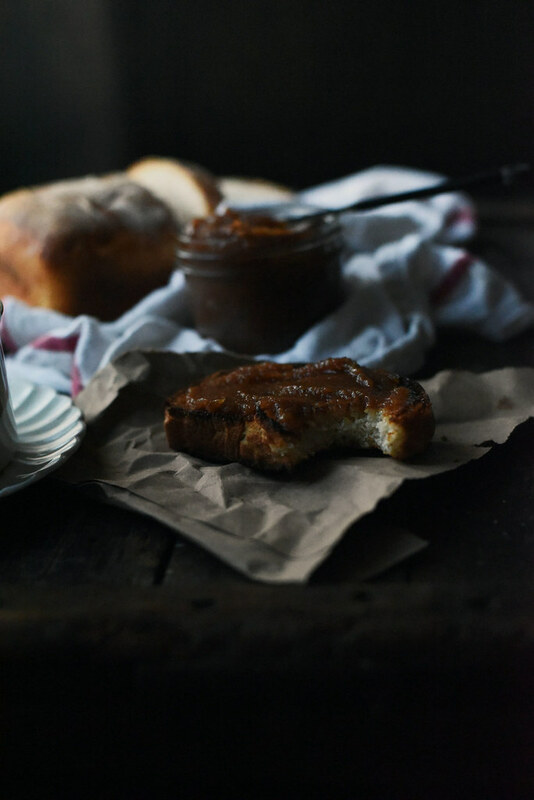 The apple pear butter needed to be eaten on something besides a spoon. Not immediately but in the near future. I had spoons and crackers to hold me over until a solution could be mapped out. Apple pear butter and Saltines will sustain me during the apocalypse or long afternoons at Bob Evans when I am 84 (or next month)..so I was good for a bit. But in the days to come, I would need some toast because what better medium is there for slathering? If I know anything, I know this…If one wants toast…one must first have bread. And here lies the crazy. I made bread. Loaves of sourdough that required me to begin a relationship with a starter that required it to grow and ripen on my counter for five whole days before a loaf could be made. I fed and watered it. Gleefully expressed my amazement at its ability to blow bubbles. Named it Charlie. Chuck for short. I felt like a proud parent on day 5 – what I assume one would feel on the day of preschool graduation – They are too young to disappoint and you are overly happy you haven’t killed them from neglect or the lack of know how. That is preschool graduation, right? I kid. Kind of. That parent feeling returned when I realized that I will be feeding and watering and nurturing Chuck for many moons. Oy, I just wanted some toast! 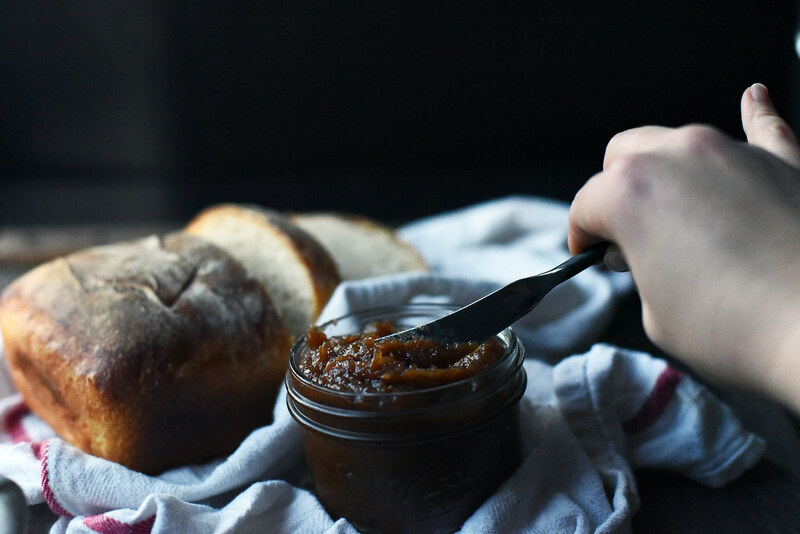 A little crazy aint’ so bad… since I can now, with a bit of conviction, make you a decent loaf of sourdough and whip up a batch of apple pear butter that would make your grandmother swoon. 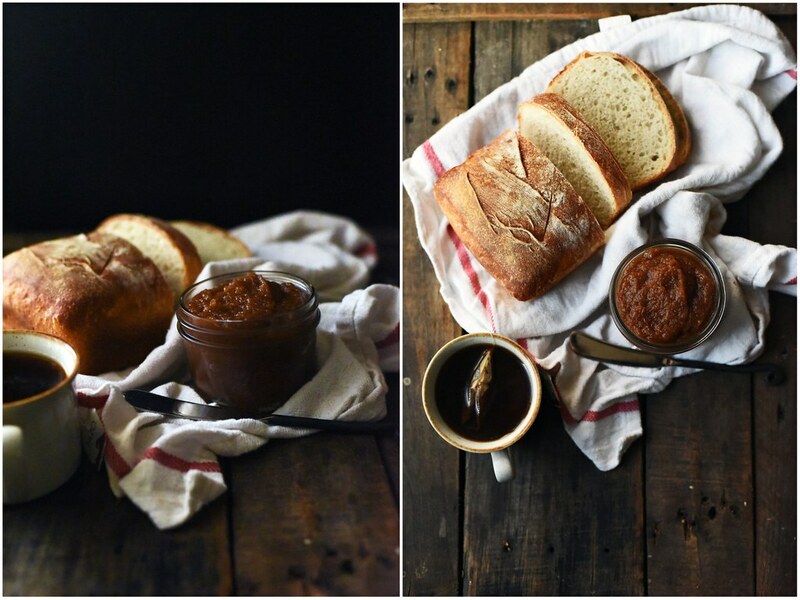 Finally, I give you the apple pear butter recipe and the sourdough bread recipe will be soon to follow. If you can not wait and like me are avoiding the grocery or a crazy neighbor (hi!) gave you a bit of starter and you haven’t a clue what to do next – you can find great info here and here and here for sourdough know how. It will have you up and running in no time. 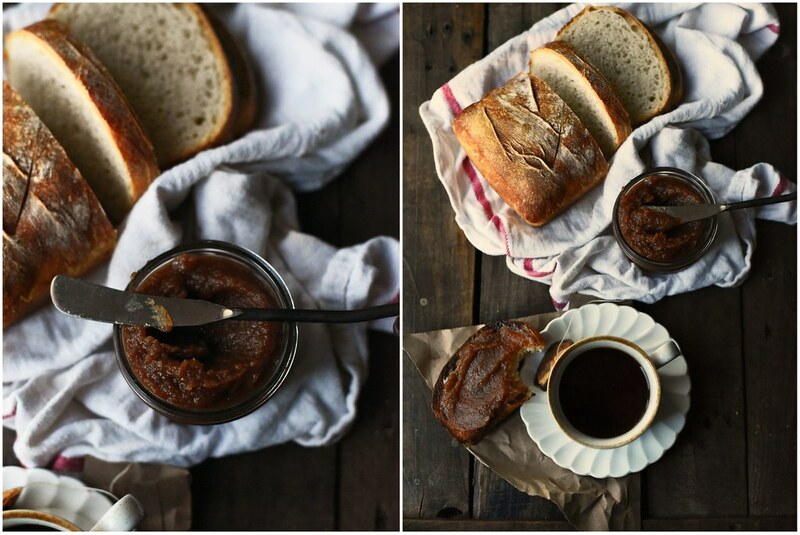 I would, however, make the apple pear butter first since it would be dreamy on a stale hotdog bun. 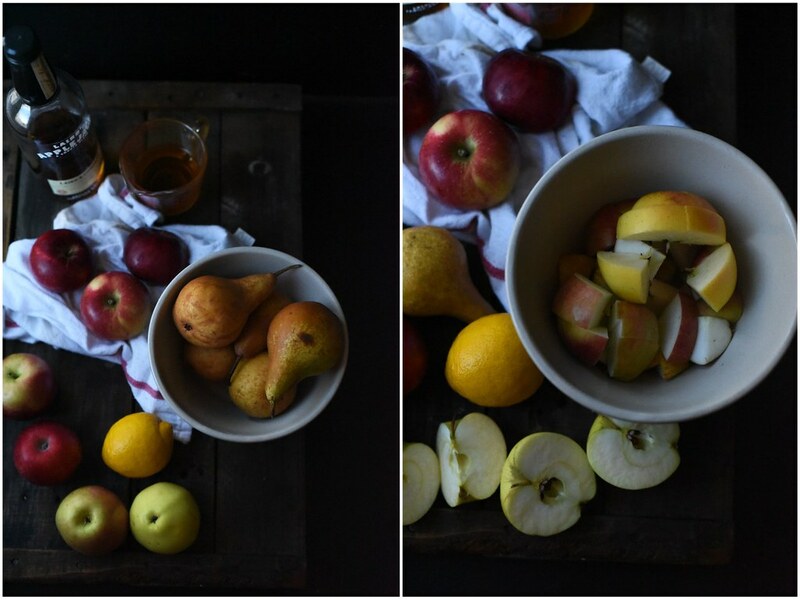 Roughly chop apples and pears. No need to peel or remove seeds from fruit. 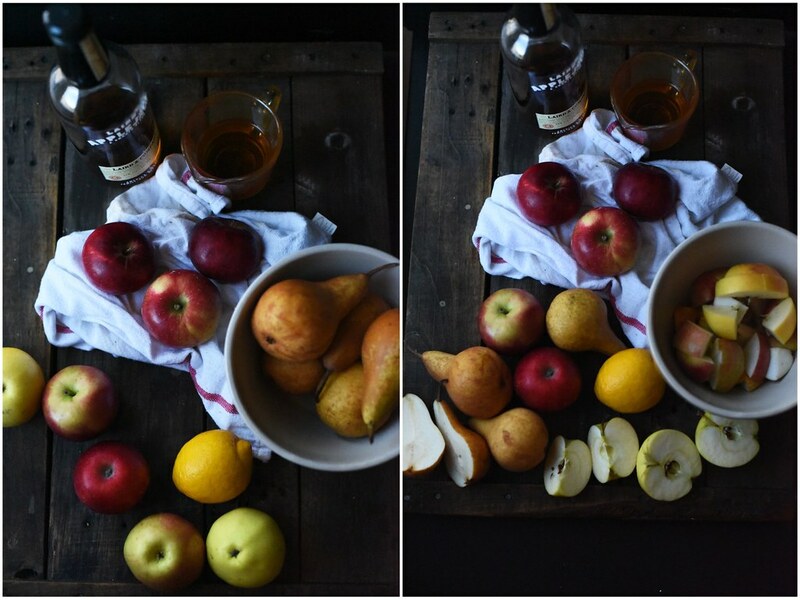 In a large, heavy bottomed pot (at least 4 or 5 quarts in size - I used a 9 quart stock pot because that is what was I had on hand) add chopped fruit, 3 cups of water, and brandy/applejack. Place over high heat and bring to a boil, reduce heat to a gentle boil and cook for about 30-45 minutes until fruit is mash-able and most of the liquid has evaporated. Stir often to make sure no fruit is sticking to bottom of pan. If fruit is sticking, add more water (in ½ cup increments ), reduce temperature, and continue to cook until fruit is cooked. Remove from heat and press fruit through a food mill or a fine mesh strainer. Discard skins and seeds. Wipe out your pot to remove any bits and pieces that may have stuck to the bottom. Transfer apple pear puree back to original pot and stir in brown sugar, lemon juice, cinnamon, and salt. Place over low heat and cook, stirring often, until puree has reduced by nearly half and it has reached a thick jammy consistency. About 2 -2.5 hours. Do not be tempted to increase temperature to speed this process as it will scorch. It will be more likely to scorch towards the end of cooking. If it begins to stick to the bottom of the pan, decrease temperature. It will be done when you stir the butter and no liquid pools into where you just dragged your spoon through. Remove from heat and let cool and store in tightly sealed containers in the refrigerator. Good for about a month in the fridge. If canning, once removed from heat proceed with canning procedures. Best slathered on buttered sourdough toast.